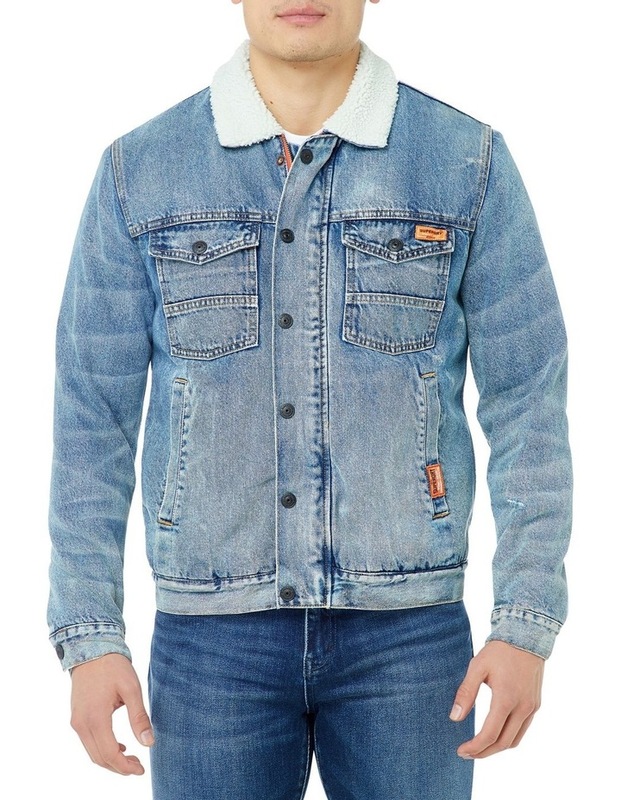 Superdry mens Hacienda denim jacket. 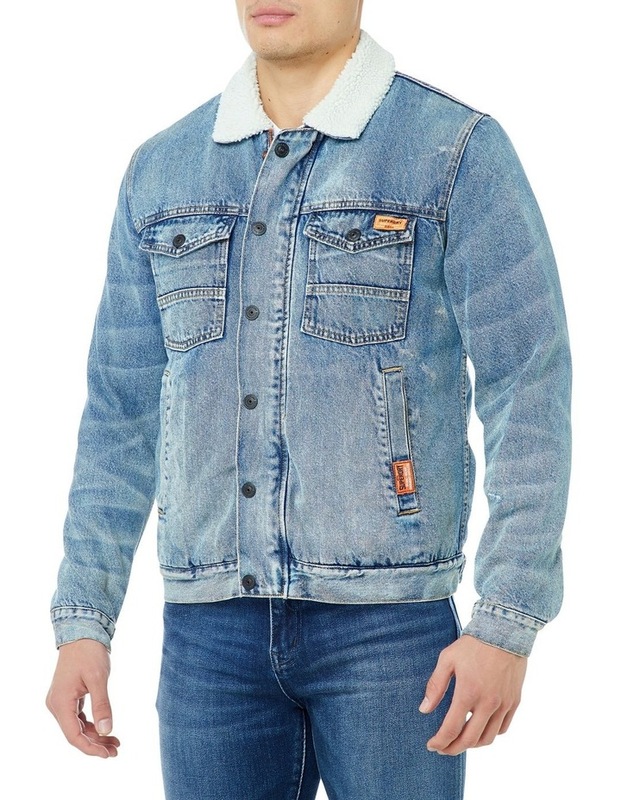 This denim jacket is a must-have for this season, featuring four front pockets and a fleece lined body for extra warmth. 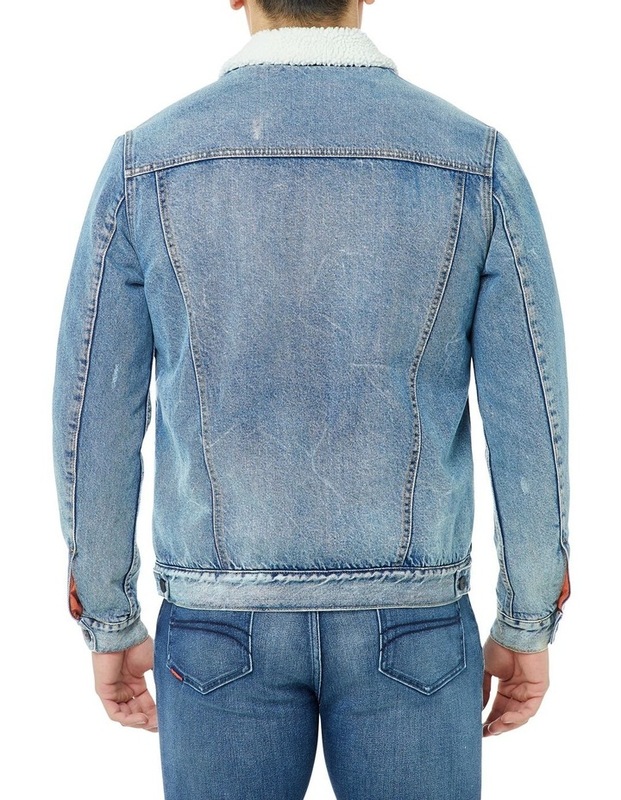 The Hacienda denim jacket also features Superdry branded buttons, a zip and popper fastening and buttoned cuffs. The jacket is finished with Superdry logo badges on two of the pockets. This jacket is the perfect transitional layering piece and looks great thrown on over just about anything.